In 4 1/2- to 5-quart Dutch oven, melt butter over medium-high heat. Cook onion and garlic in butter, stirring occasionally, until onion is tender. Stir in remaining ingredients except sour cream and cilantro. Heat to boiling; reduce heat to low. Simmer uncovered 2 to 3 minutes, stirring occasionally, until hot. Top each serving with sour cream; sprinkle with cilantro. 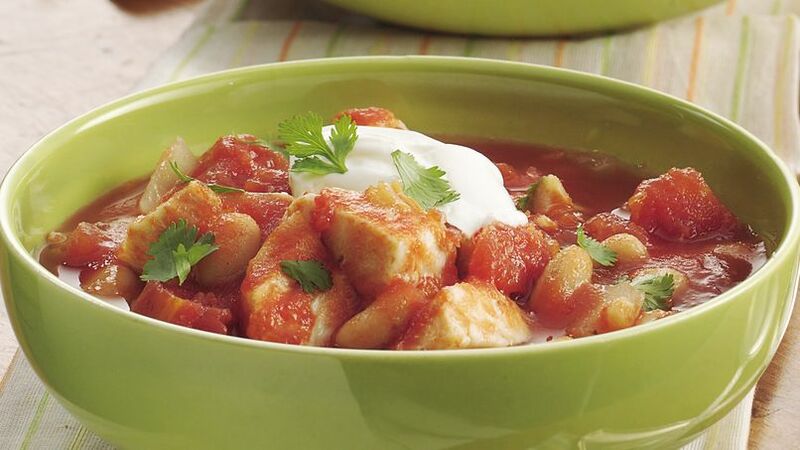 Instead of crackers, serve this chili with tortilla chips for a little crunch. A can of navy beans would be just as delicious as the great northern beans.